On today’s show I discuss the home pantry in it’s many forms. Recently a listener emailed for advice after his kitchen was destroyed in a fire and he had to start over from scratch. So I devoted most of today’s show to this topic. 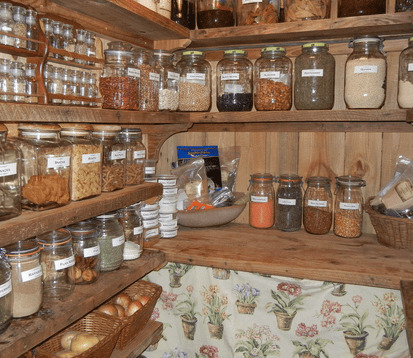 I talk about the different places to store food, a bit about pantry design, the facets of a home pantry; spices, baking, dry good, fridge and freezer etc. Also I touch on the long-term storage pantry, which many of you know I fee lis very important.